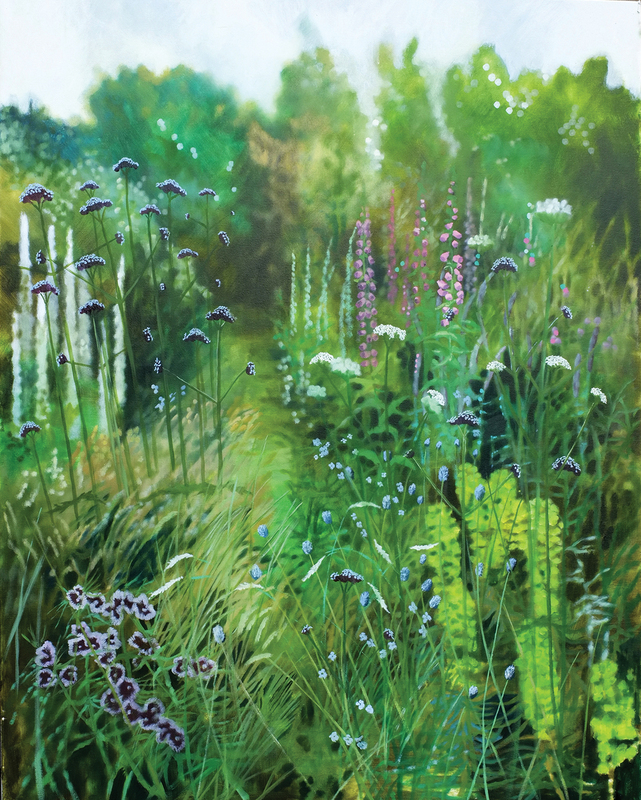 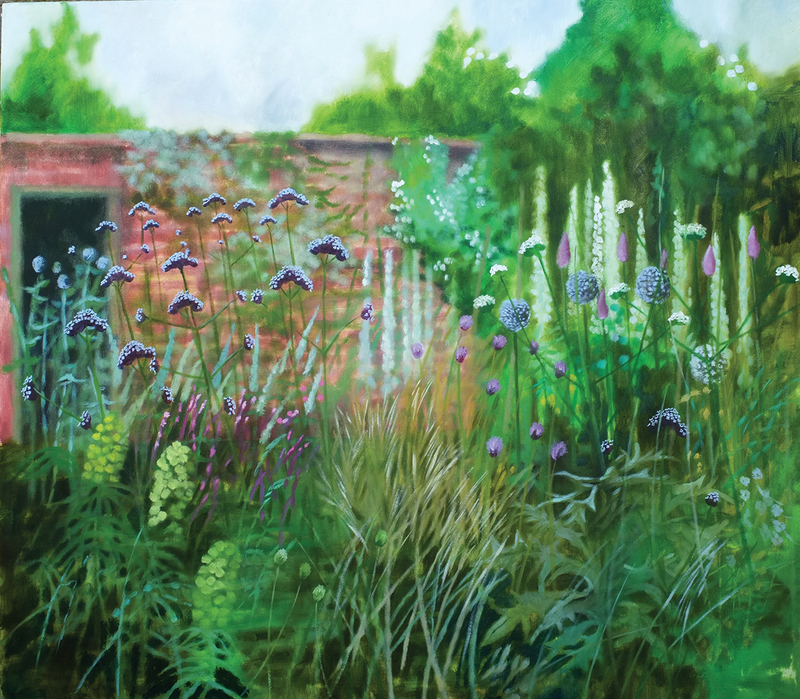 Broader in dimension, Dylan’s paintings in this exhibition retain the garden as subject matter. 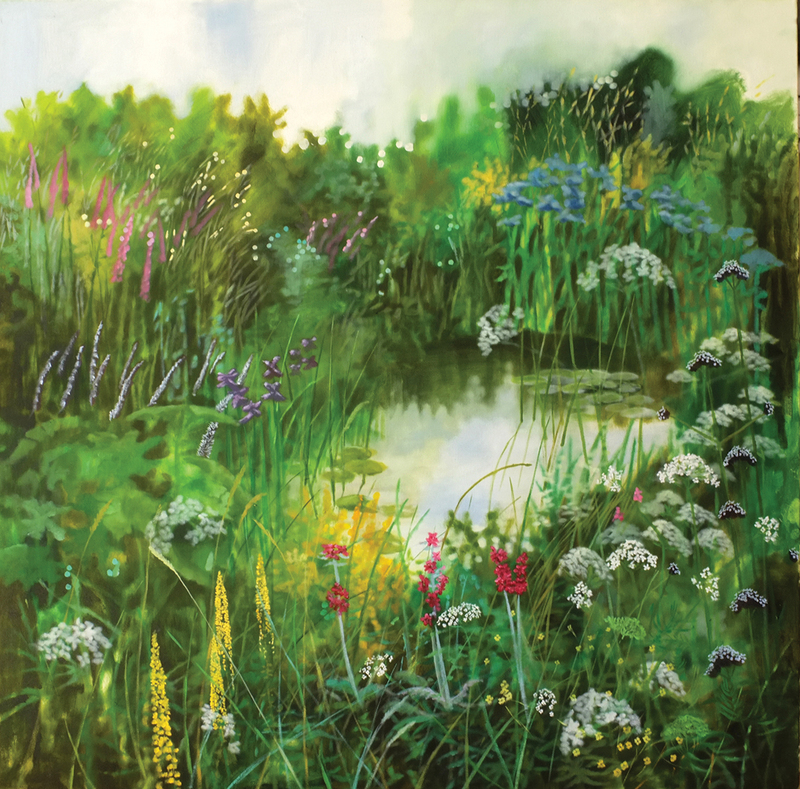 They are a response to Dylan’s newly established garden on the Island of Portland as well as gardens in Dorset and Wiltshire. 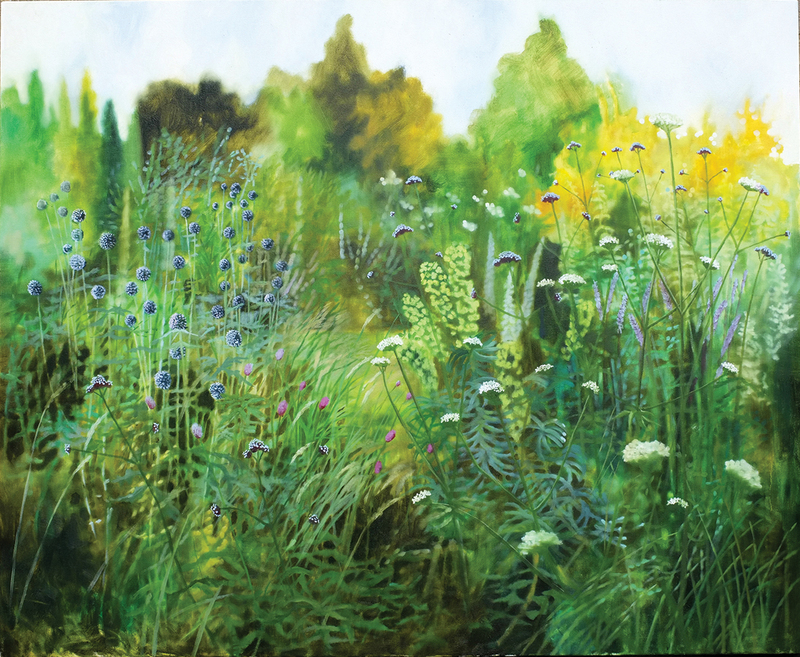 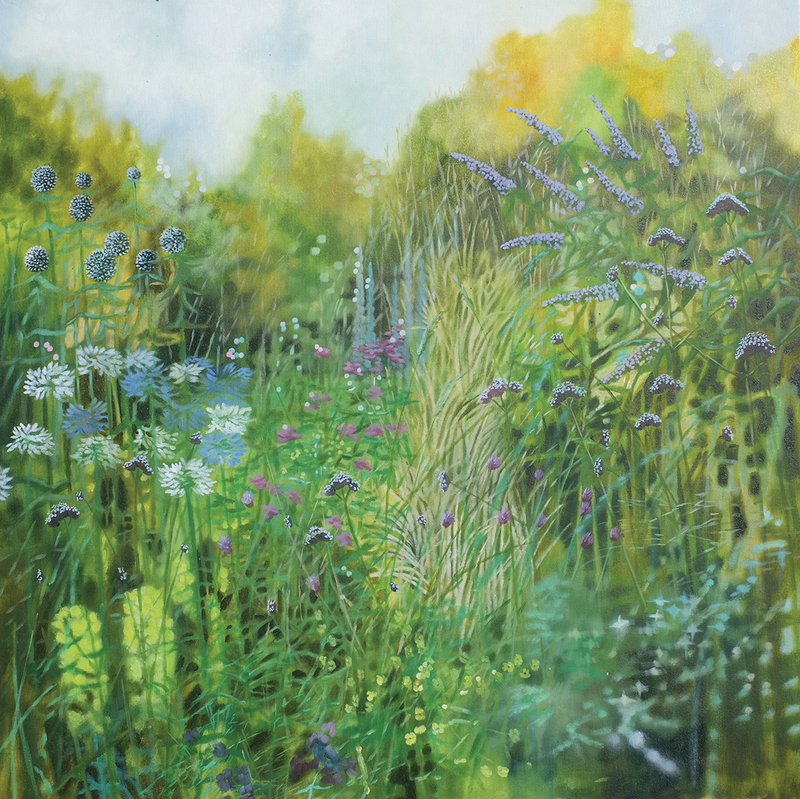 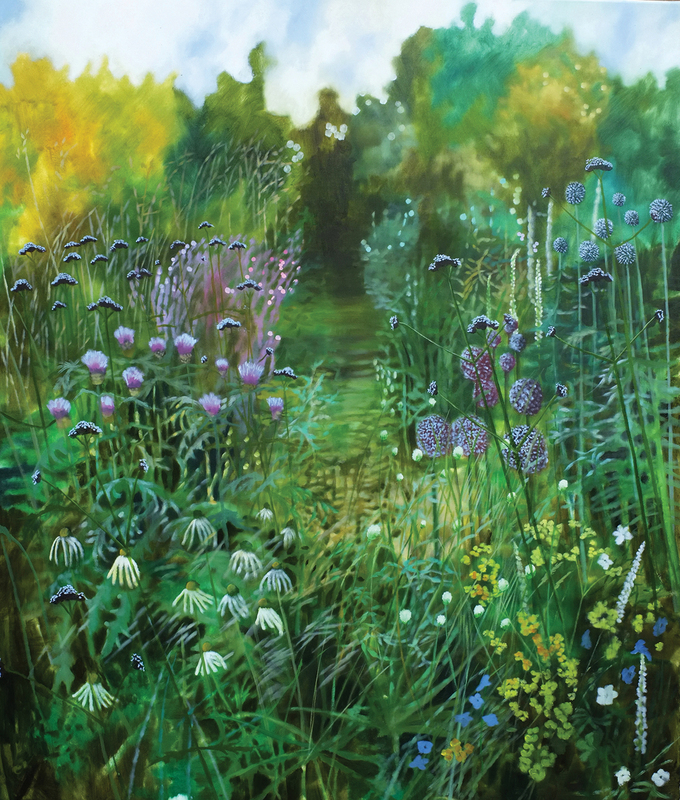 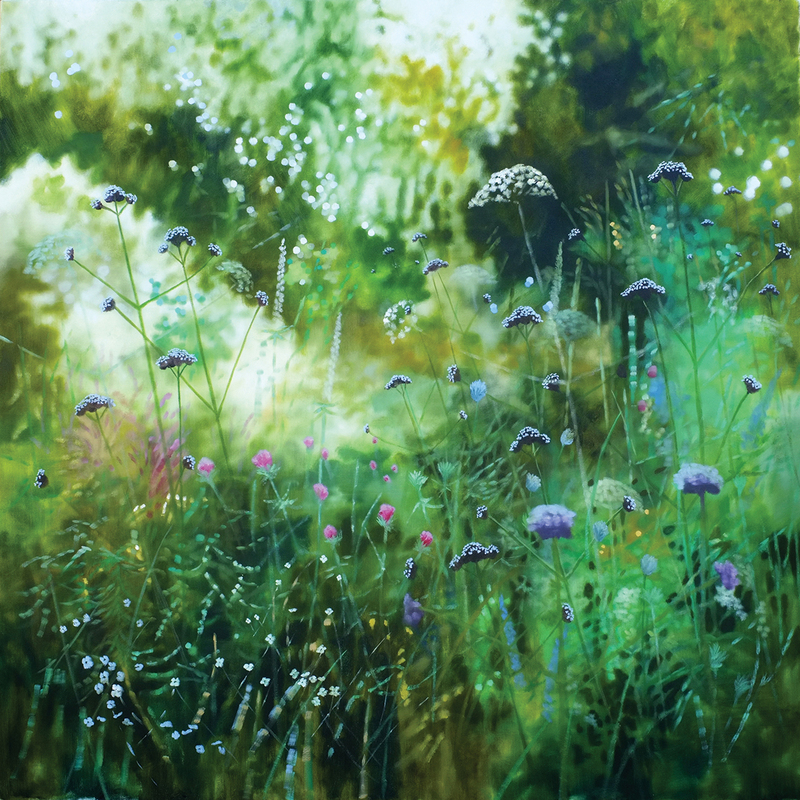 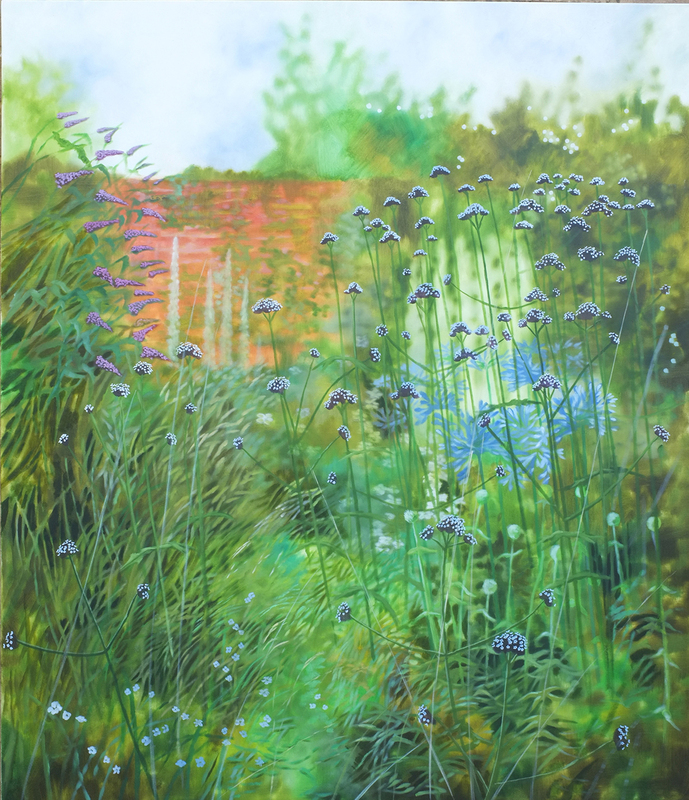 His paintings develop as does a garden, the surface of the canvas reflecting the layers of planting; once the structure is formed the painting like the garden grows and changes over time. 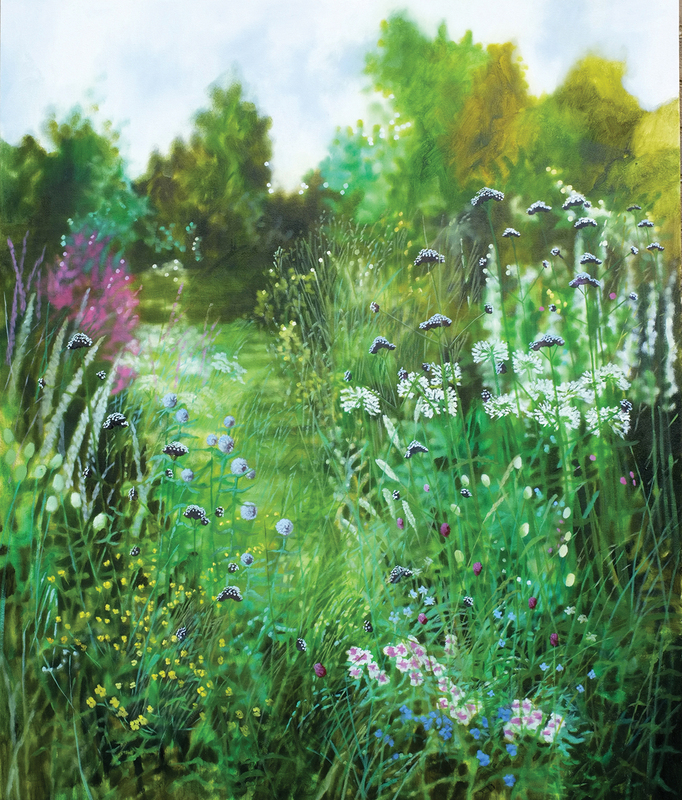 Employing free, painterly brushstrokes whilst referencing a photographic depth of field Dylan suggests a lasting memory of a space rather than direct representation of a place and time.